Ed Sheeran, the devil incarnate, pulled exactly the stunt that I suspected. Turns out that an awful children’s drawing of lion is actually permanently tattooed on his chest. 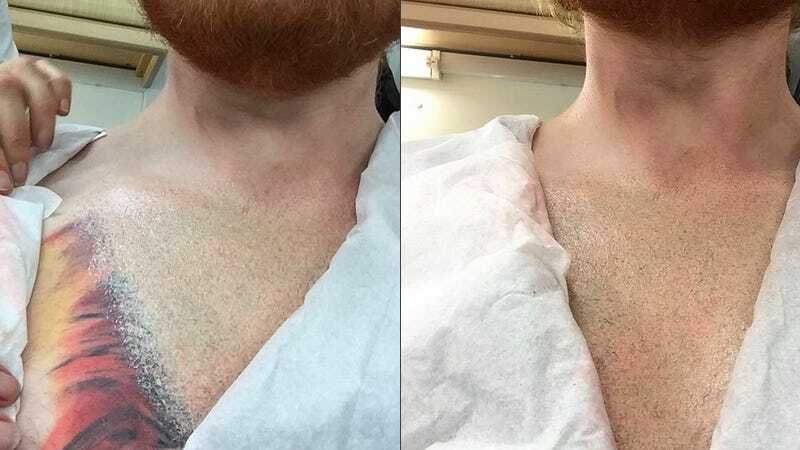 He only had it covered up earlier because he’s shooting a TV show. Can’t say that I didn’t see this coming and many of you suggested the same thing earlier. I now hope to never again speak of this man’s chest. Let this also stand as the permanent and final answer as to why I find Ed Sheeran to be one of the most grating people to ever walk this planet. Contact the author at kara.brown@jezebel.com.